Back in March of this year, we asked the Swag Nation what charities they were most interested in supporting. It isn't difficult to see why Smile Train was one of the most popular suggestions. Every child born with a cleft anywhere in the world has the opportunity to live a full, productive life. Clefts are a major problem in developing countries where there are millions of children who are suffering with unrepaired clefts. Most cannot eat or speak properly. Aren't allowed to attend school or hold a job. And face very difficult lives filled with shame and isolation, pain and heartache. Their clefts usually go untreated because they are poor – too poor to pay for a simple surgery that has been around for decades. 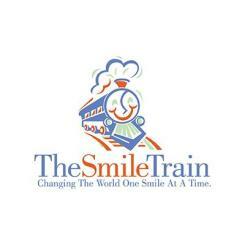 Smile Train partners with hospitals, surgeons, doctors and providers of medical equipment to help provide a sustaining solution all around the world. Smile Train doesn't just help individuals in need; they provide education and technology needed to ensure that the regions they help have everything the need in order to do their own cleft care, surgeries and more for years to come. The Swag Bucks you donate all this month will be turned into a cash donation, given directly to Smile Train. Every Swag Buck you donate will help us in supporting Smile Train and all the inspiring, life-changing work they do! Every Swag Bucks donated equals $0.01, so donating 1,000 Swag Bucks is equivalent to donating ten dollars.